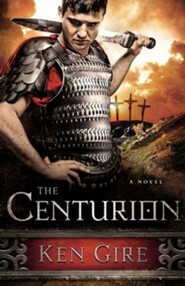 Meet Lucius, the centurion in charge of Jesus’ crucifixion. 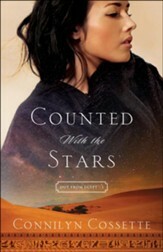 His life would change forever that day, but it would take years for him to realize it. 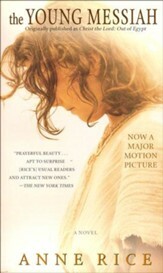 While trying to make sense of what happened, he meets a woman who seems to understand who Jesus was, why he was so different – a woman named Mary Magdalene. There is an obvious attraction between Lucius and Mary, but each has other roles to carry out. When they finally meet again, will they be on the same side? An ambitious Roman soldier. A stunning crucifixion. An unlikely romance. A long war and a chance reunionthe moving parts that make The Centurion a gripping story of love, duty, and sacrifice. Curious about this "King of the Jews," Lucius seeks out His followers and falls for one named Mary Magdalene. 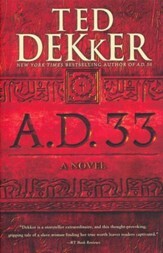 But all is interrupted when Lucius is called to lead military campaigns. There the hardships of war, year after year, wear him down to nearly nothing. KEN GIRE attended Texas Christian University where he earned a degree in History and Speech. In 1978 he graduated from Dallas Theological Seminary with his Masters in Old Testament Literature and Exegisis. From there he embarked on a career of fulltime writing which has resulted in the publication of more than twenty books, several of which have won prestigious awards.Ken has a heart for helping individuals create space for reflection so as to develop their personal relationships with others and God. While his books speak to the deep seated need of individuals to slow down and live more reflective lives, Ken has also founded a nonprofit ministry to address this issue. Reflective Living works with individuals, helping them to develop a more reflective lifestyle in order that they might experience radical change, authentic relationships and most importantly: a deeper walk with God. 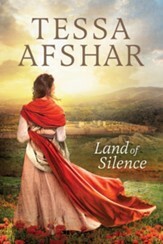 I received this book free from the publisher through the NetGalley review program. I was not required to write a positive review. The opinions I have expressed are my own. I am disclosing this in accordance with the Federal Trade Commissions 16 CFR, Part 255 'Guides Concerning the Use of Endorsements and Testimonials in Advertising.' 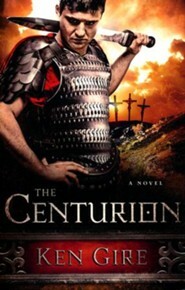 "
I'm the author/artist and I want to review The Centurion - eBook.